Luxury Travel Ltd., Vietnam’s first luxury tour operator and the destination expert in Indochina will attend Fitur 2019, the international travel trade show organized by IFEMA in Madrid, Spain from January 23, 2019, to January 27, 2019. The company is participating at this show to introduce a medley of new and recently launched luxury travel services and products from tailor-made private tours to luxury cruises and private jets, special interest holidays to MICE tourism in Vietnam and rest of Indochina. The Sales Manager from the company’s Spanish department, Mrs. Nguyen Thi Thom will be representing the three major brands of the company, Luxury Travel Vietnam, Emperor Cruises and Heritage Cruises. Redefining the B2B segment in the travel industry, Fitur 2019 is expanding its exhibition ground at Feria de Madrid by introducing nascent and potentially strong spheres of the industry with a special focus on film tourism. This mega tourism show will also extend new B2B prospects for MICE through its lately established specialized arm, FITUR MITM by allowing the exhibitors to have productive networking sessions with over 100 highly qualified international executives. This year, the event expects to welcome nearly three hundred thousand participants from over 180 countries all over the world and host more than seven thousand business meetings. For better accessibility and networking opportunities for the exhibitors and visitors, Fitur 2019 exhibition ground has been designed strategically for each part of the world. Fitur is a highly appreciated travel trade show among the industry entities because of its dynamic orientations to highlight each and every segment of the tourism industry leading towards innovation and channelization. For example, Fitur 2019 will emphasize on FITUR FESTIVAL along with other segments to ensure significant development strategies for the foreseen potential sectors of the industry. With a great hope and new plannings, this highly integrated tourism event will be delivering new concepts, business strategies, travel trends, knowledge sharing program and many other activities by well-known industry leaders like World Tourism Organization (UNWTO), World Travel and Tourism Council (WTTC), Latin American Conference of Tourism Ministers and Entrepreneurs (CIMET) and many more. Luxury Travel Vietnam will be promoting the immense growth of Vietnam tourism at FITUR 2019 in association with the Vietnam National Administration of Tourism (VNAT). Spain and the rest of Europe is a potential market for Vietnam tourism. In the first ten months of 2018, Vietnam has welcomed 64,842 visitors from Spain which is a 12.5% increase from 2017 and 1,670,594 from entire Europe, which is a 9.82% increase from 2017. Vietnam is investing a lot on tourism and hospitality disciplines from destination development to new hotels and resorts like Ho Tram and first-of-its-kind 4-star boutique-styled Heritage Cruises on the Red River and Halong Bay region, adding much value towards the prospects of Vietnam tourism in the coming years. The commencement of new direct flights to Vietnam is also a significant factor to drive more and more international travelers to Southeast Asia. 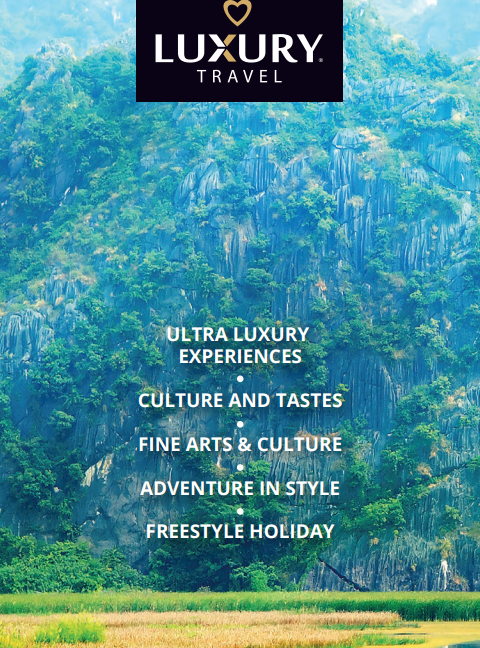 Luxury Travel Vietnam is the destination management expert in Vietnam, Cambodia, Laos, Myanmar, and Thailand. Thailand is one of the most popular destinations in Southeast Asia among Spanish travelers. However, with the destination development, especially in the eco-tourism sector in Cambodia and Laos, Luxury Travel is serving a lot of Spanish travelers to these destinations and the number is increasing every year. With its ultra-sophisticated travel services and in-depth knowledge and skills in tailor-made private tours, Luxury Travel is one of the best luxury travel operators in Southeast Asia. The company is also highly proficient in executing MICE services across Southeast Asia. So FITUR 2019 is of great importance to Luxury Travel to meet industry experts, professionals and organizations to sketch an impactful and sustainable growth of Southeast Asian tourism in the future. Meet Luxury Travel at Fitur 2019. For appointments, drop an email here.